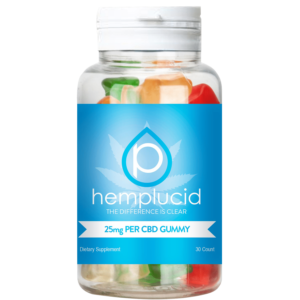 Hemplucid Whole Plant CBD Gummies are a fun carefully pre-measured tasty dose of cannabidiol right into your Endocannabinoid System. CBD interacts with the ECS receptors in the nervous system, immune system and brain. Gummies are great way to get your measured daily dose of CBD with a little fun and flavor added into the mix.